Natural Resources Blog: Insights and opinions on the latest trends in mining, metals, forest products and building materials. The mining industry is facing—and will continue to face for some time — a challenging operating environment with substantial price volatility. Current price increases come on the tail of months of low return on sales in one of the worst years ever for the sector1. In a market that is still in decline and increasingly unpredictable2, mining businesses need to start making changes – and ensuring those changes stick – in order to secure their future sustainability. More than ever, successfully executing major change programs is vital to long-term competitiveness in this sector. Yet a high percentage of change initiatives are bound to fail. They may fail to achieve expected benefits or become derailed entirely. Why does this happen? More importantly, what can miners do to make sure this is not the case? One of the factors that contributes to failed efforts is prioritization: companies are rarely managing a single change initiative, but rather a portfolio of projects—multiple programs that run concurrently as part of a more sweeping organizational transformation. A second factor is the interactions of the variables that affect whether change is successful. The so-called “levers” that need to be monitored go well beyond the ability of teams to manage with traditional tools and approaches. When it comes to change, the decisions that companies make are not always based on reliable data. They can be based on assumptions, hunches and intuition. However, by using change tracking tools to deliver an insight-driven change approach, miners will be better equipped to achieve the change mechanism they seek—both at pace and with certainty. In marked contrast to some traditional change approaches, an insight-driven change approach is based on years of research and experience with actual change programs. This method also offers predictive capabilities, helping mining executives set a more successful course for change, monitor progress and take corrective action as needed. By using sophisticated modelling, there is a whole new way of managing change with previously unattainable predictability. 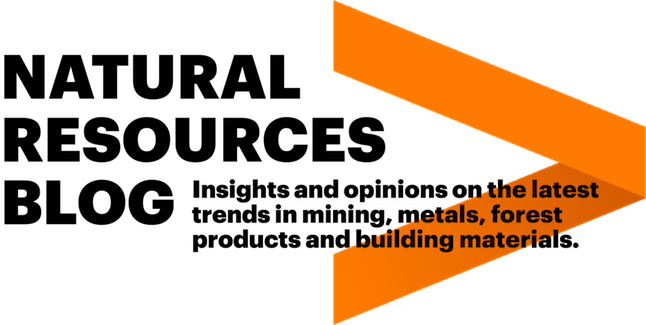 Accenture recently helped one mining client implement an effective large-scale change program using Accenture Change Tracking™3. This insight-driven tool helped the client identify a significant gap in attitudes between the top- and bottom-level of the organization. Further scrutiny of the results by function, geography and job role highlighted key attitudinal differences in various parts of the organization. These often subtle insights (e.g., more communication would be counterproductive) were then mapped to the predicted pathways to achieve an effective change, allowing the mining client to create customized interventions to address where the organization was going off track. This approach helped steer influential stakeholder groups back towards high performance. The benefits of insight-driven change extend beyond decision makers to the entire organization. The approach provides a means to actively engage people at all levels in a positive way during the change process, focusing their energies and efforts on the factors and change levers that really make a difference. In practice at our mining client, this meant working with two functions that had different attitudes toward the transformation program. 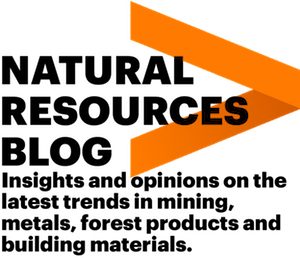 By altering the approach to engaging with these stakeholder groups, Accenture and the client were able to overcome the groups’ concerns, and reorient them to a high-performance track in a timely and constructive way. With the insight-driven approach, the client was able to achieve an effective change more quickly and provide a level of assurance to the organization that the program benefits would be realized sooner. A common misconception is that change is a straightforward process—one that progresses linearly from A to B to C. However, from Accenture’s extensive experience working with clients across all industries, we now know this to be a myth. In fact, change is a non-linear process with no beginning and no one end. To provide clarity during the change process, mining leaders can use a measurement dashboard to enable both themselves and their teams. This dashboard provides the insight-driven data they need to understand when, where and how to take corrective actions, get back on track and take the necessary steps to stay there. As a result, the change program is more likely to deliver the desired outcomes. As constant change becomes a reality for mining organizations, the need to become more agile and resilient to changing demands and pressures will become a key differentiator, and the ability to execute change at pace and with certainty will provide a real competitive advantage. 1 Source: Mining.com “Mining among unhappiest industries to work in — study”, Cecilia Jamasmie | Feb. 5, 2016, http://www.mining.com/mining-among-unhappiest-industries-to-work-in-study/.